Biotope is a pro-nature architectural practice, based in Vardø, Varanger. It is the world´s first and only architectural office with special expertise on birds and birdwatching. Since 2009 we have been working with the development of Varanger as a birding destination. 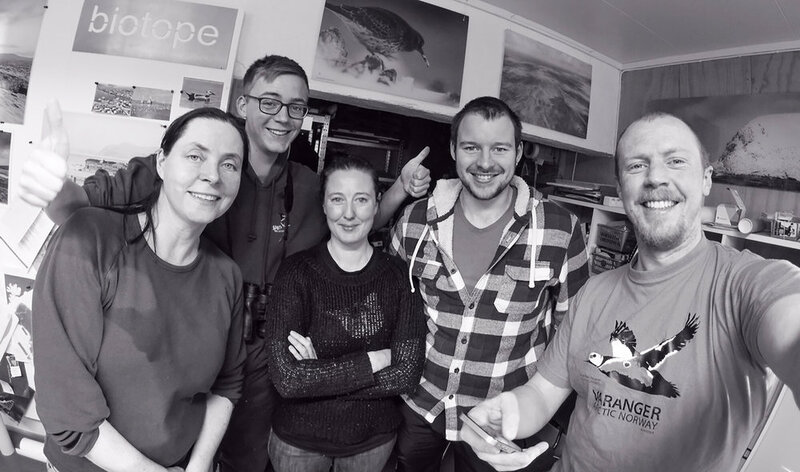 Our goal has been to make birding 'big' in Varanger, and to raise awareness of the region's unique and very rich birdlife, both locally and to an international audience. The number of talks we have given, projects we have run and people we have met and worked with is too large to count. It has been a fast-forward non-stop journey of nature destination development. Varanger is today widely considered to be the worlds finest arctic birding destination. 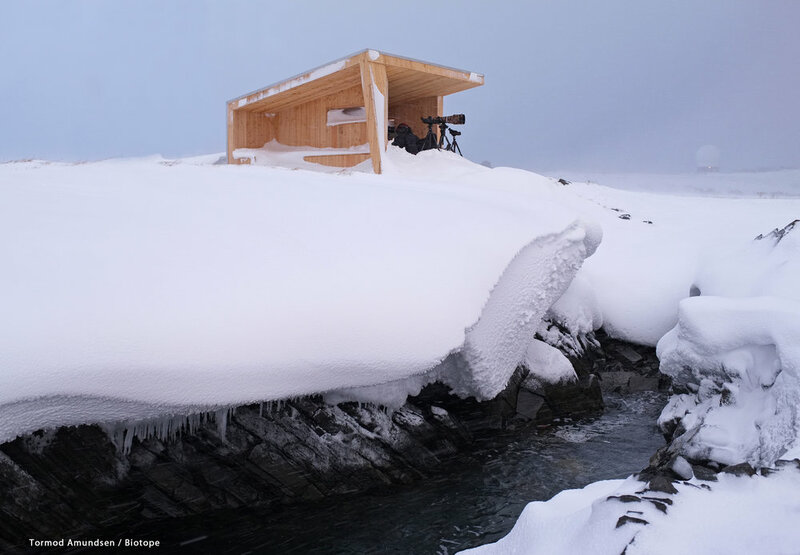 As architects, we know that if you want to invite people to experience great birding in an Arctic environment you also have to facilitate for better outdoor experiences. We design birdhides, shelters, nature trails, outdoor amphitheaters and much more. They carefully balance the need for visibility in order to attract and concentrate human activities, the practical requirements of the birders and sensitivity to the needs of the birds. Today in Varanger you can find wind shelters and bird hides at 12 key sites in the region, from Pasvik in the south to Berlevåg in the north (and new ones are in progress). Each bird hide is unique and designed to complement its habitat, the local birdlife and to provide shelter and comfort for its visitors. Due to many people asking us about birding in the region, we started to collect and share all the info and knowledge we have about Varanger. That was the starting point of planning our book "Birding Varanger". We have aimed to provide you with a tool to make your visit to Varanger as productive as possible. Visit our homepage http://www.biotope.no to learn more about our aims and projects. A Biotope video blog from September 2016 - Visiting the Biotope office + some amazing Aurora borealis. We are currently on a mission to make at least one video blog a week. We post them on the Biotope Facebook site, but you can also find our video blogs archved on our Youtube channel - Thanks for tuning in!